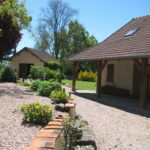 Our fully equipped holiday home is located a few kilometers from the village of Ronnet, at the end of a cul-de-sac, detached and about 6 kilometers from our farm / chambre d’hote “Champeaux”. 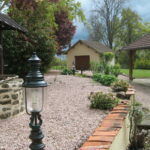 The gite is equipped for max. 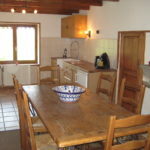 5 people and is perfect for rent alone or with our gite Auvergne . Since both holiday homes are 100 meters away from each other, you can come to us with your family as well as with a group (max 10 persons) while your peace and privacy are guaranteed. 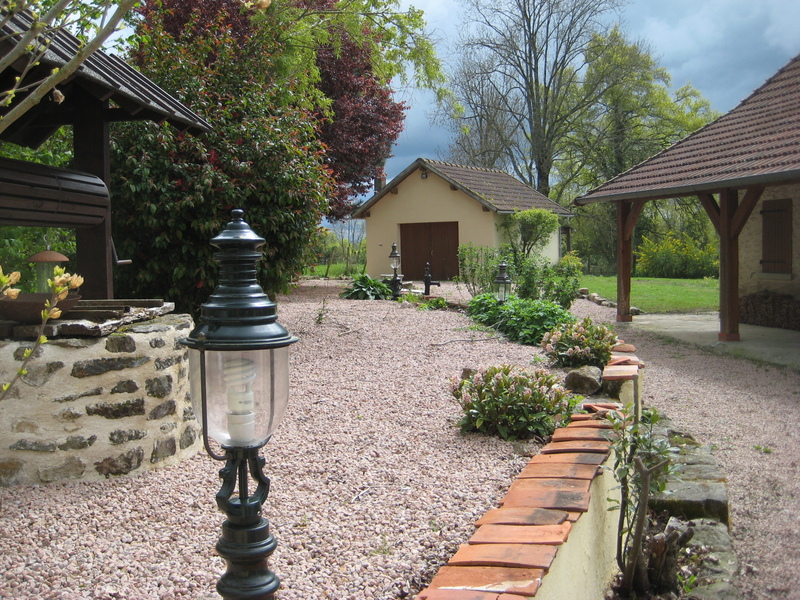 The house is located on a plot of approximately 1000 m2. 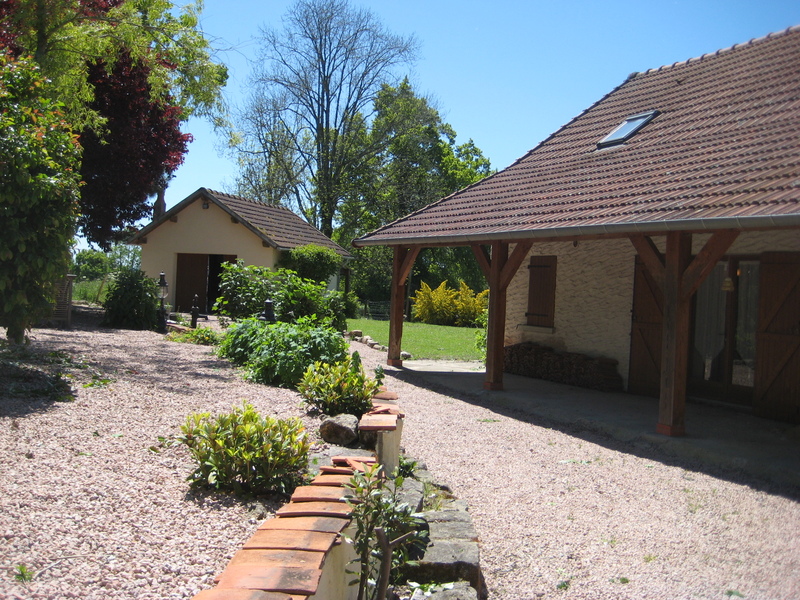 Directly at the house is a terrace with wooden roof, so you can sit sheltered, there is also a raised terrace in the garden where you can barbecue and on the side of the house is a lawn where you can sunbathe. The habitable surface in the house is approximately 120 m2, spread over 2 floors. 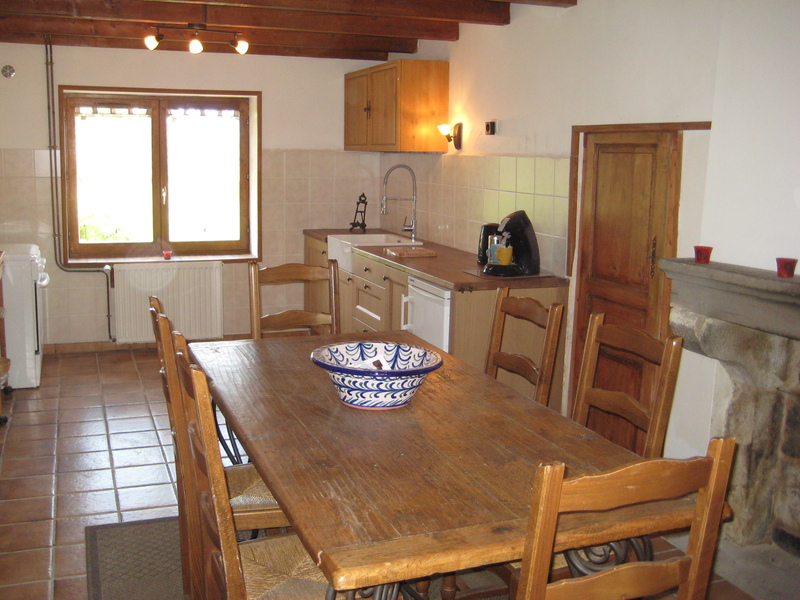 On the ground floor is a spacious kitchen with dishwasher, a spacious living room with lots of light and fireplace and through the French doors opens onto the terrace. 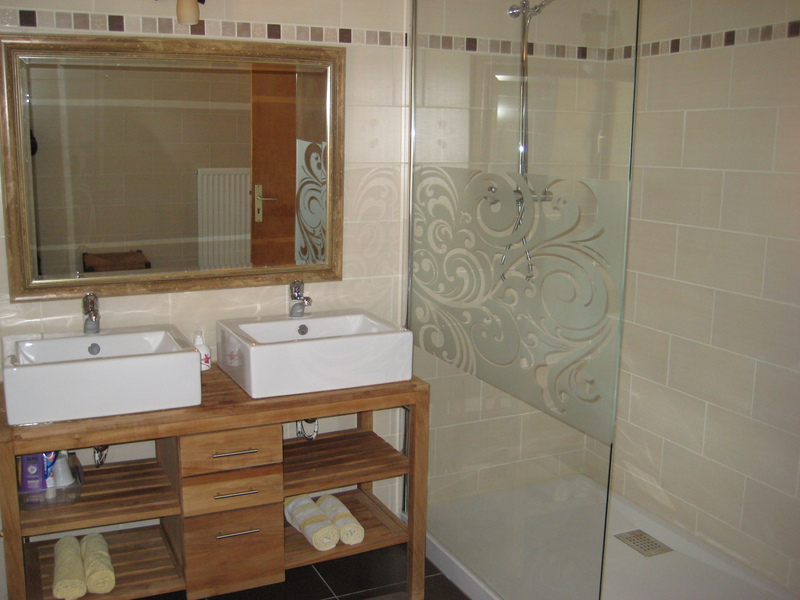 The new bathroom, a separate room for the toilet and a washing machine complete the story. 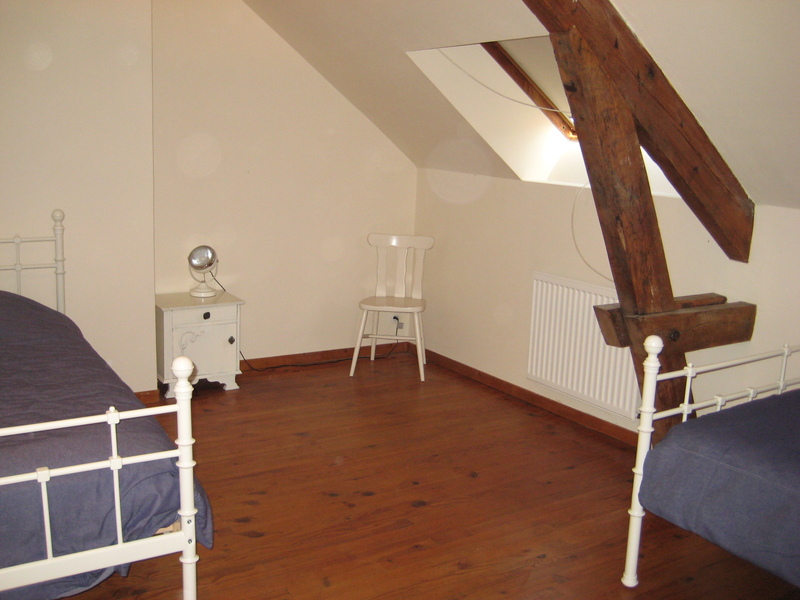 The 1st floor has 2 spacious bedrooms, 1 room with a double bed and 1 room with 2 single beds. There is also a third (small) room. 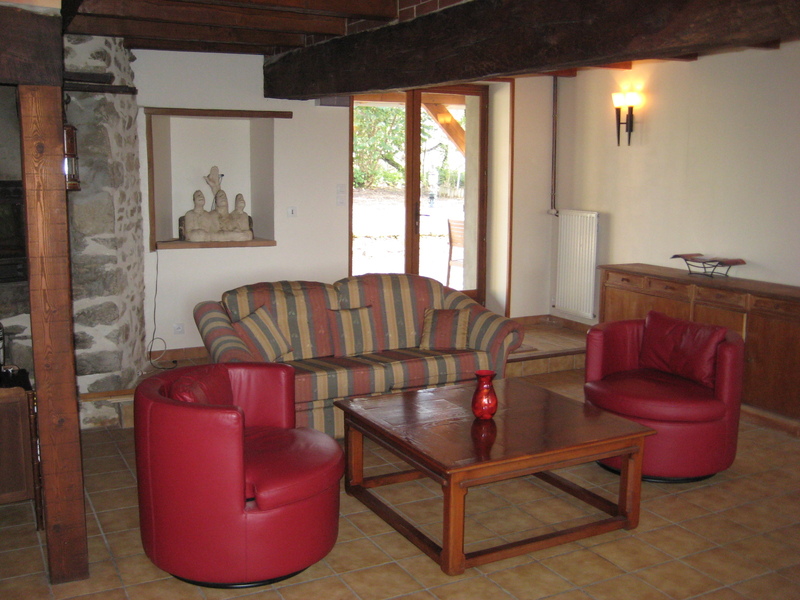 If you book for 5 people, a folding bed or baby bed will be added for the 5th person. 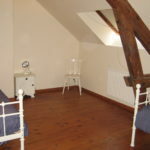 To avoid having to go downstairs to the toilet at night, we also placed a toilet on the first floor (sanibroyeur) in a separate room. 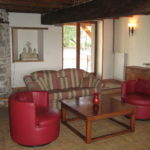 For your purchases you can go to the nearby Commentry or Neris les Bains (spa and golf course) and of course you can always use the facilities our Chambres d’hôtes Champeaux offers you, such as the swimming pool, the jeu de boules court, the barbecue evening or just to have fun with the other guests to exchange experiences and tips. 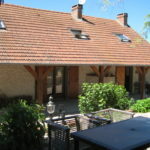 The gite is only rented per week from Saturday to Saturday and the price is based on 2 people. 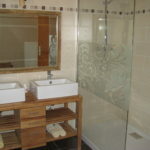 For each person extra we charge € 40.00 p.p.w. 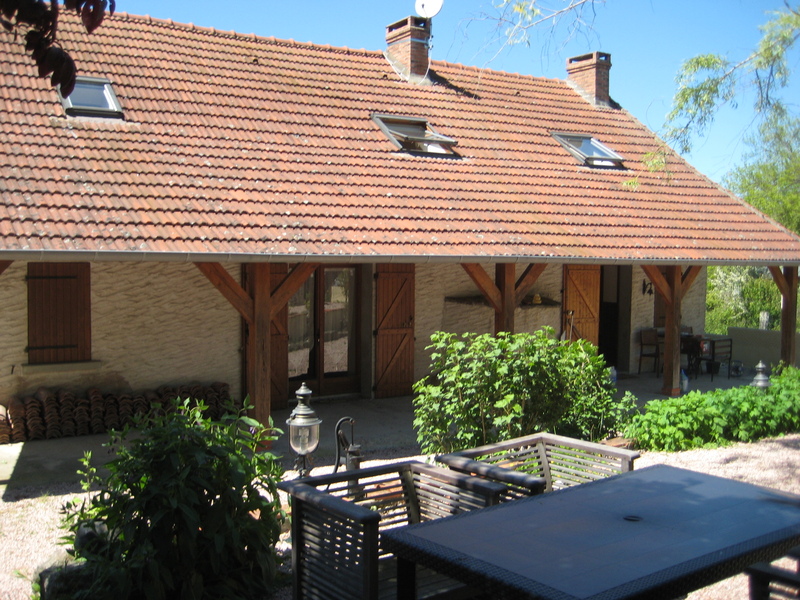 If the gite is rented for 2 consecutive weeks, we give € 50.00 on the 2nd week and € 75.00 discount on the 3rd week for 3 consecutive weeks. – consumption of fuel oil (winter period), this is determined in consultation.